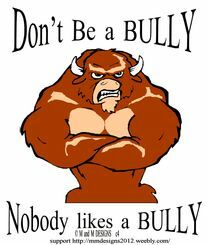 Having BULLYING PROBLEMS ??? ... M & M Designs has a product for you, to show your dislike of it .... I am Asking everyone to help M & M Designs, create new jobs, but cannot do it alone, need everyone to share this. Because they say every drop in the bucket can make the world of difference. however if no one puts in any drops, how much of a difference can it make ????? together we can create a brighter future for all... can i count on you ??? So are you going to help ??? OR JUST sit there & complain about nothing getting done? You can buy a product which will make new jobs ... we have lots of ideas, so if you want to HELP create New America jobs. Yes we can change the world one T-shirt at a time. The Book Publisher and all three of the t-shirt sites are based in the USA. They employ US workers, and they do all the printing and shipping for M & M Designs. They also offer 100% USA made Products with M & M Designs ... Designs on them. plus all 4 of my Printers, have been in Business for years, so they are not some fly by night outfits... and yes they take PayPal too. SO Please BUY your T-shirt today, cause change only happens if people help those with the ideas to make a change. so PLEASE get a T-shirt and remember to tell all your friends too. It is time to fight bullying with this hashtag #buyaNoBullyingTshirtchallenge & go here to buy http://250050.spreadshirt.com/us/US/Shop/ So get a t-shirt or two and tell your friends too. And help change the world one T-shirt at a time. My name is Michael L Lindsay, and I live in Chesapeake, Ohio. I am writing to you to day, so I can tell you about a great ideal I have ..... now I know you hear this million times a days (right?) But in these tough times, people need good ideas ..... and here is mine. 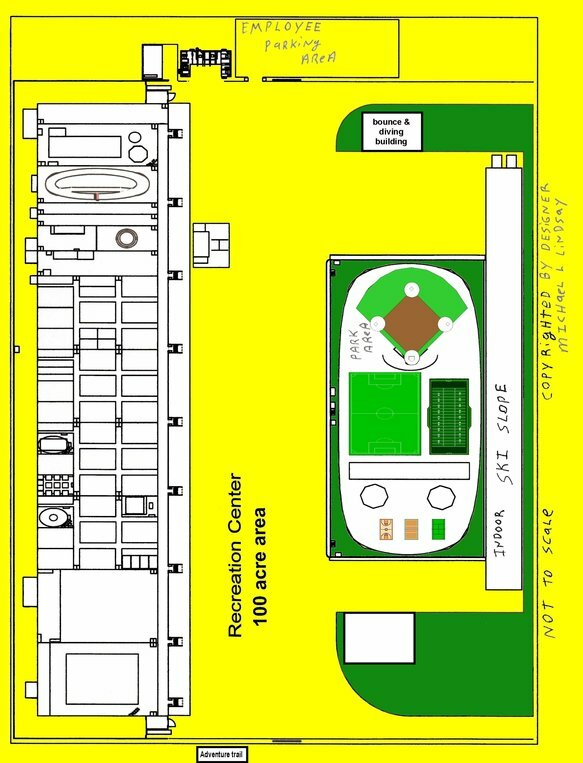 I am a drafter and designer, and I have designed what I call, The Mega Recreation Center, it is a building that is 551' wide by 2,929' long (or 20 acres for the main building) the Center will need a 100 acre lot. Nevertheless the Center has darn near everything a person needs to stay out of trouble, have fun and even learn a skill while having fun. However it is mainly for fun and it also has a huge outdoor park area too. Now I know the economy is weak, (well I guess that depends on who you ask right?) ...... Now my Mega Center will employ close to 1700+ people normally, not to mention the construction workers, and all the supplier's of materials needed in the construction and operation of the Center. Now I have done a full accounting of what the building needs, including security equipment, geothermal heating and cooling, wind power Generators. Now with all these systems and other features to keep the kids and people safe in a happy fun place. Means the building With it's 35 main activities that appeal to 98% of the general population, will cost is 1.4 Billion dollars. Have you picked your self up yet? Just kidding .... I know that is a lot of money, but I have done the math and being conservative. I figure the building will bring in some place in the neighborhood of 160 million dollars or more a year in gross income. So you see with the amount of tax money it will bring it, as well as the jobs it will create. 1.4 Billion is not really that much. however I need your help, and yes you CAN help me. my Center will help the economy and help give the kids a safe place to go play and have fun at. Plus I have a theory that juvenile crime happens because of a lack of fun places for kids to go and hang out where the kids cannot get into to trouble, and also a place that will not break the parents bank account. My theory is that the Center will lower the juvenile crime rate, being conservative i would estimate it will lower it by 25% or more. NOW Why should you come to my Center, over other places??? Well lets say a family of 4 (mom, dad, 2 kids) want to go out for a full day of fun, but stay local also. Lets start at the roller skating place, it is like 10 miles from your house, and it cost you $3 to $8 per person to get in and $1 to $3 for skate rental. So there is $11.00 plus if you get a drink there is more. After that you want to go bowling, it is another 8 miles away from the skating rink and cost $5 a game each person + shoe rental of $2 per person. There you have spent $28.00, plus any drinks. After that you want to go see a movie, it is like 15 miles from there and cost like $8.00 per person plus drinks/popcorn. So you spend close to $40.00 there. Lastly you hear about a local “BAR” that has a teen night going on, it is 9 miles from there, plus cost like $8.00 per person to get in, plus drinks. So there you spend close to another $40.00. Then on your way home, you stop and get some “real food”. So there is like another $15.00 to $20.00. Yeah you spent a full day with your kids, you also used a full tank of gas in the car, lets say a 12 gallon tank @ 3.50 a gallon = $42.00. So how much did you spend for a single day out trying to having fun, you spent close to $165.00. plus fighting traffic and everyone else on what to do and where to go next. NOW the Same family choose to go to my Center, maybe it is like 20 miles from the house, it cost 5 per person to get in or if you went to the park it would cost $2.00 for the adults and $1.00 for kids under 15. However lets say they went to the main building, So there is $20.00, while they were there, they went to the indoor race track (mom smoked them) that cost $8.00. Then they went bowling (the youngest show his/her skill there) and that cost $12.00. Then went to a movie that cost $18.00 including a drink and popcorn. After that they went dancing on the dance floor (where dad showed he can still cut a rug), no charge there cause that is included in the door fee. Then they went to the roller skating room and that cost $12.00. Then they went to the dinning area and got some “Real Food” for $10.00. Then drove the 20 miles to home, which means you spent maybe $15.00 in gas ..... so for a day out with the kids at my Center cost you around $95.00. Plus you did not have to drive all over the place, you got to spent more time doing stuff with your kids, and you got to save some money too. plus you only did 6 activities out of the 35 activities in the main building, plus whatever may be going on out in the park area. However lets say both kids want to do something it the art room (or one of the other pay the kid ideas in the center). but lets keep with the Art room for now, let say the oldest panted a picture and the youngest did a clay sculpture. as a reward for their hard work, they both received $20.00 after room and supply fees. which means the kids made $40.00, so that makes the cost for the day to be only $55.00. So I ask you which do you like better choice one (which is how it is now) or choice 2? Which choice do you believe parents would make? SO which choice would you choose to repeat more then once a month? Plus since my Center has security and medical personal on staff, which choice would you allow your kids to choose to go DO alone ?? Now I know that times are hard, and not every kid will be able to come daily. However most parents will put the kids first, that is why I am trying to keep the prices as low as I can, so not to break the parent, so which do you feel will be the choice they will make? I know there will be enough kids come everyday that the Center is the choice parents make. Plus, since I have made the center capable of changing some rooms, that it will be able to keep up with the changing world of entertainment needs. Plus with all the different scholarship programs and plains for future stuff. i feel the Center is a great choice. Yes the Center cost 1.4 Billion, however it is my belief that in our “GO GREEN” world, and rising fuel cost. That the Center is going to be a big hit for decades to come. Plus I know shortly after the Center opens, we will make enough to build some future projects like a second Mega building, an indoor Ski Sloop that is 150' wide 2020' long and has a indoor uphill sloop that is 120 feet. Plus after that we intend to add a outdoor trail park area with fishing and other cool stuff. So you see with the Mega Center and Huge Park area (20 acres) that has Soccer, Football and Baseball fields. Plus Basketball, Tennis and Volleyball courts, as well as a huge walking path and playground. There is also a place to have outdoor live bands. Plus we added a bouncing and diving building, for those who want to bounce the day away or feel like they are sky diving, this building also has ocean diving training, with top rated teachers. we also have plans for future upgrade of the Indoor ski Sloop, the Center will be the hot spot for years to come. We also have an Adventure trail out back of the Mega Recreation Center (aka Teen Center). In this Adventure trail, there are 4 trails covering 40 + acres, trail 1 is a BB / Airsoft gun shooting trail. Trail 2 is a path leading to a large 2 to 4 acre fishing pond. Trail 3 is a ground level hiking path. Then here is trail 4 which is a Tree House trail with cool tree houses and different ways to travel the path. YOU can help by BUYING our book or get a t-shirt because yes you can change the world one T-shirt at a time.